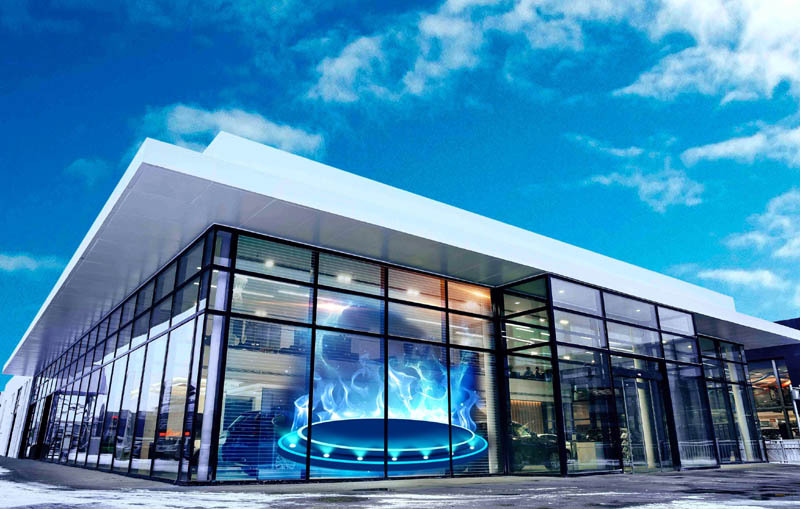 The transparent LED display based on the glass curtain wall has ushered in the development opportunity in the process of gradually cleaning up the LED outdoor large screen. In the last few years, major cities across the country have increased the reorganization of outdoor advertising, include LED display. A large number of outdoor LED displays have become victims of environmental protection in a wave of rectification actions, due to problems such as light pollution and illegal installation and installation. However, the transparent LED display based on the glass curtain wall has ushered in the development opportunity in the process of gradually cleaning up the LED outdoor large screen. Among them, SHENZHEN YUCHIP LIGHTING CO., LTD is to seize the opportunity of transparent LED display development and become one of the fast-growing LED display enterprises. Entering YUCHIP, the company can feel the rigorous work style and passionate spirit of struggle. YUCHIP has been engaged in the research and development of transparent LED display for more than 6 years. 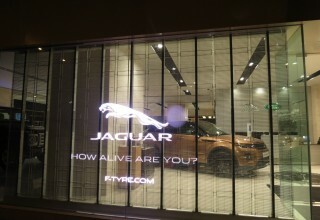 It has a comprehensive and in-depth understanding of transparent LED display and their markets. Eric said, the sales manager of YUCHIP, there were only a few transparent LED display manufactured before five or six years ago, and now there are more than 50 in Shenzhen. The development of transparent LED display is very fast, the market scale continues to increase, and new companies are becoming more and more. In the next two or three years, a transparent LED display listed company may appear in the industry, and its scale will not be smaller to the listed companies in the current LED display industry. Obviously, as a subdivision of the LED display, the transparent LED screen still has different characteristics from the conventional LED display. Its biggest feature is the high light transmittance compared with the traditional LED display. 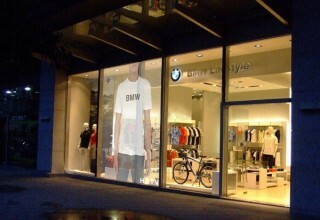 The transparent LED display is improved from traditional LED curtain display. But, Eric said that the concept of transparent screen LED was originally proposed by Koreans, but it was the first time that Chinese LED display companies realized it and began to be widely used in various fields. Transparent LED screen and curtain LED screen actually have little relationship. In the process, the current transparent screen mainly has three manifestations, namely, the side sticker direct-lit LED panel, the SMT edge-lit LED panel, and the positive stickers direct-lit LED panel. These three kinds of patching methods have their own strengths and limitations. YUCHIP transparent LED display use side sticker and direct-lit LED panel, the advantage is high brightness and high light transmittance and has higher impact resistance than edge-lit LED panel, the most important, it can be customized and adaptable to the environment. 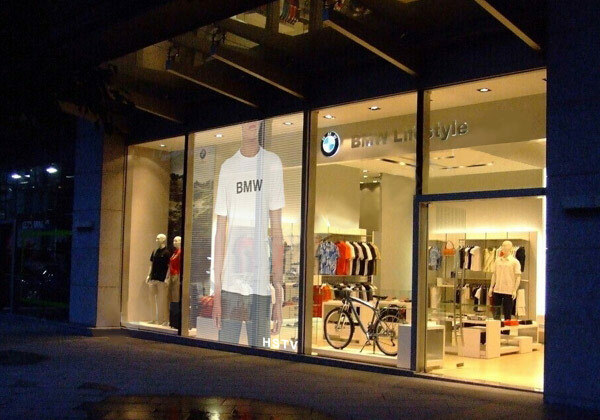 Transparent screens are now widely used in various storefront window advertisements (chain stores), airports, stations, shopping malls, museums, exhibitions, financial institutions, stage and architectural glass curtain walls, and YUCHIP products include various standards Pixel pitch, as small as 2.5mm, as large as 31.25mm. At the same time, YUCHIP can customize various pixel pitch products of 2.5mm or more according to customer requirements, and the brightness of the products can be adjusted from 1800nits to 8000nits according to different project scenarios. The transparent LED display light transmittance of YUCHIP is more than 5% than the products of the same specifications, and the stability has obvious technical advantages. The stability of YUCHIP products has been recognized by customers and can withstand the test of the market, and has established a good reputation in the industry. 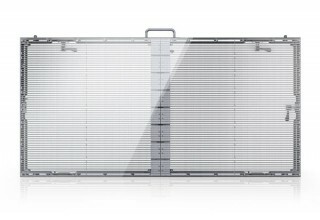 YUCHIP pursues the ultimate on “thin”, “light”, “parsimonious” and “stable” in transparent LED screen. For this reason, YUCHIP has been constantly striving to innovate and optimize products, such as “hidden the line is connected” in product design. According to Eric, YUCHIP will introduce this new product with hidden line connection technology. Nowadays, horizontal competition has been more fierce than ever, so many companies put emphasis on innovation. 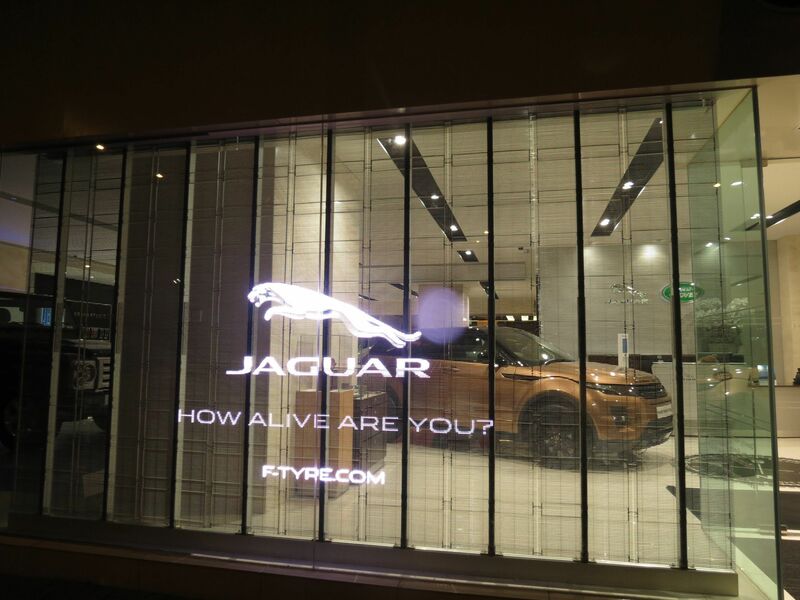 However, in the field of transparent LED display, Eric emphasizes that experience turns out to be exceptionally vital since there is no significant technical problem. And YUCHIP possesses an experienced team on transparent LED display, among which employees with more than 5 years' work experience are no fewer than 10. It may be no other than this experienced team that gives rise to the quick development and public praise on products’ stability of YUCHIP. Also, thanks to its abundant experience, YUCHIP is able to respond to the market as quickly as possible and production lead time is able to be far and away shorter than peers. According to Eric, YUCHIP, this experienced team, is the most valuable deck in YUCHIP, since the transparent LED display will surely develop quickly in the two to three years to come. Disparking the OEM, YUCHIP will spare no effort to polish products, in a gesture to provide customers with better visual enjoyment and higher commercial value. As one of the earliest professional LED solution provider in China, YUCHIP has 15 years of technical and experience. YUCHIP have passed the ISO9001 system certification. Products are sold worldwide, and have offices in Italy, Malaysia, Singapore, Poland. YUCHIP greatest aspiration is to come up with the most creative and high-quality products. 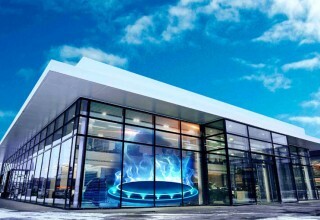 The YUCHIP has a 20-person R&D team that has developed a wide range of products for various application scenarios, such as taxi led displays, Indoor Ultra HD LED Display, Outdoor small pixel pitch rental led display, sphere led display, dual maintenance led display, Led poster, Transparent led display etc.